Order through our website or mobile app to get special deals and promotions! The Most Inclusive Buffet Catering Anywhere! We offer a complete party package for $19.95 per person. 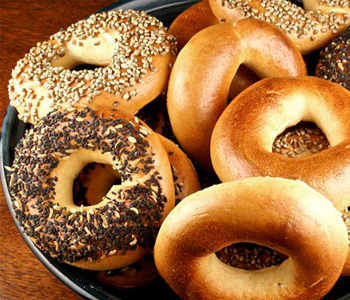 We cook all of our bagels fresh every day right here at Bagel Express. Try any of our fresh salads. 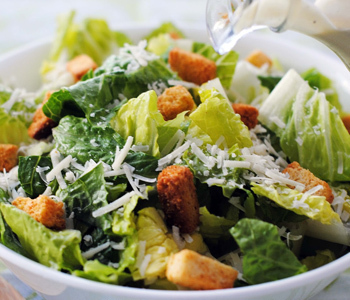 Choices include caesar, chef, gorgonzola & cranberry, tossed, and more! Try any of our breakfast sandwiches. 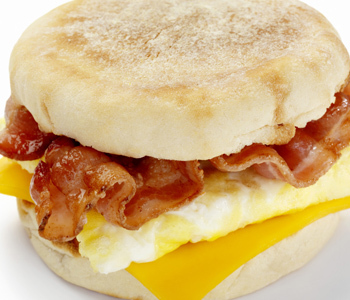 The perfect way to start your day, everyday, is a bacon, egg, and cheese sandwich from Bagel Express. Here at Bagel Express we take our reputation within the community seriously. That’s why we have partnered with Stony Brook University for a multitude of sponsored events in the past. Bagel Express has been happy to serve the Stony Brook University community, both students and faculty, for years. Come in for breakfast or lunch, 7 days a week, we guarantee you will love it!